Choosing a salon and then a hair designer isn’t easy. How do you do it? 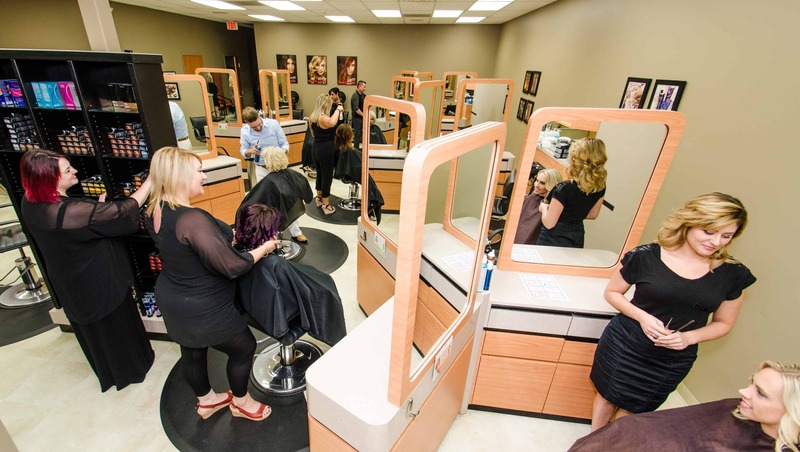 All salons have the same elements; a front desk, shampoo bowls, stylists, shears and combs and the support personnel. The Guest Care Staff – The front desk experience should be a five star event. How you are received and cared for can make or break your experience. They cannot be an afterthought. The Consultation – It’s the very essence of the salon industry. A great consultation’s where all great hair designs begin. The Hair Design – An understanding of today’s styles is essential to be able to create a version for just you. The Product Knowledge – Half of what makes a great hair style great are the products that are used to cleanse & style. The proper products in the proper amounts make a big difference in solving your hair care issues. Self-Management – Drive and consistency is the key in a creative field. You want energy and excellence on each and every visit. Education is what separate great salons and average salons. There’s a lot riding on your decision when seeking a salon with great hair as your goal. So when searching the Internet or picking up the phone and calling around, ask about the salon’s educational program. A salon that is ‘education driven’ will attract great stylists. Not just one good stylist. I love what you said about having a consultation, making sure to check it out for yourself and seeing if it fits your needs. My sister has been looking for a new salon to go to, as she just recently moved across town. While she trusts her friend opinions, she definitely has different hair needs and not every salon will be prepared for that. I’ll have to recommend the advice you wrote in this great blog. I like how you mentioned the importance of education when it comes to a hair salon. I just moved into a new area, so I need to find a good salon to go to, and education isn’t something I had really considered. I imagine that it could make all the difference in the quality of service though, so I’ll make sure to ask about that. I like your point that education makes all of the difference in a hair salon. I have very curly hair, so someone that is unfamiliar with curly hair is likely to mess up while cutting. I just moved to a new city so I’m looking for a new stylist. Thanks for the tips!